Order PICIFORMES: Woodpeckers, Barbets, Toucans, etc. 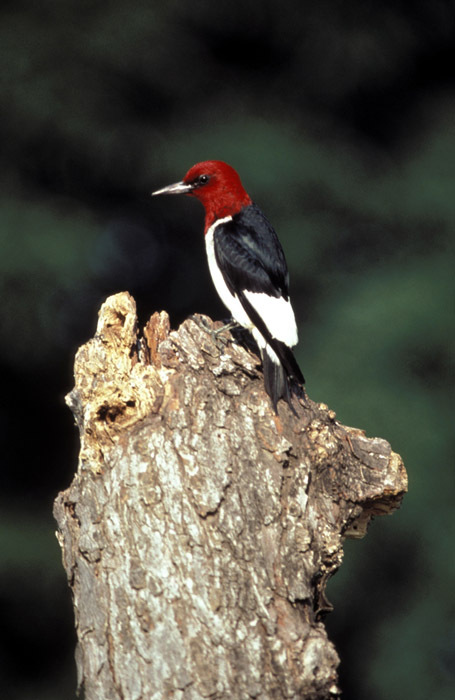 Red-headed Woodpeckers are common breeding birds in the open oak woods at Cedar Creek. In most winters birds are present on the south shore of Fish Lake and in the 1980's along 26 south of 24. Banding has shown that at least some of the birds present in winter also bred there. 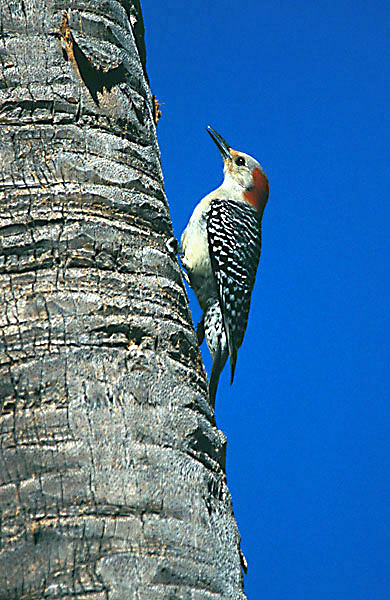 The number of wintering Red-headed Woodpeckers appears related to the acorn crop. In some years they are abundant year round in the woods west of Durant. Red-bellied Woodpeckers are common in the deciduous woods at Cedar Creek, but are relatively inconspicuous during the breeding season. Sapsuckers are common migrants at Cedar Creek, but are rare breeders. 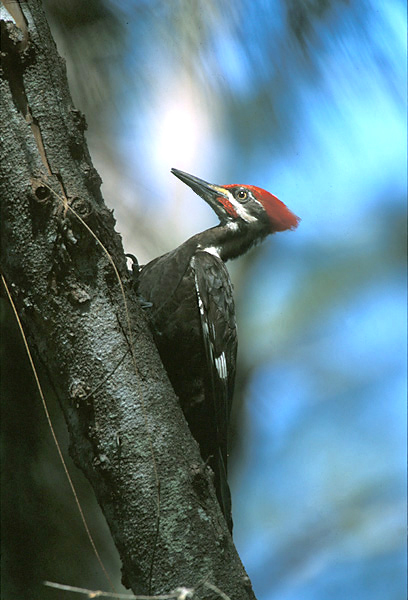 The first summer record of a sapsucker at Cedar Creek was June 17, 1991 in the oaks woods northeast of 26 and East Bethel Boulevard. The first nest was found on June 11, 1993 5 m up in a northern pin oak in this woods. A pair nested in the savannah west of Durant in 1995. 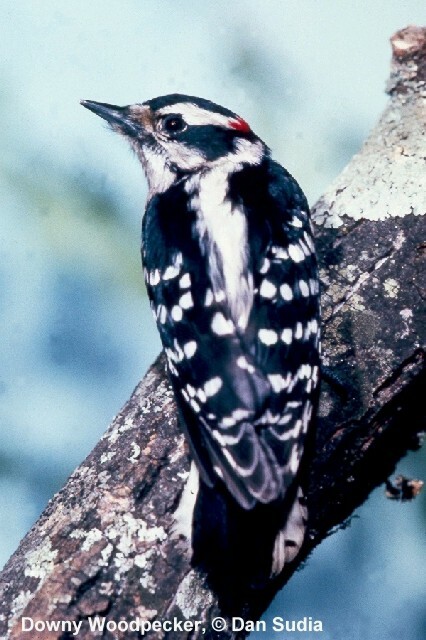 Downy Woodpeckers are the most common woodpeckers at Cedar Creek, breeding throughout the wooded portions. 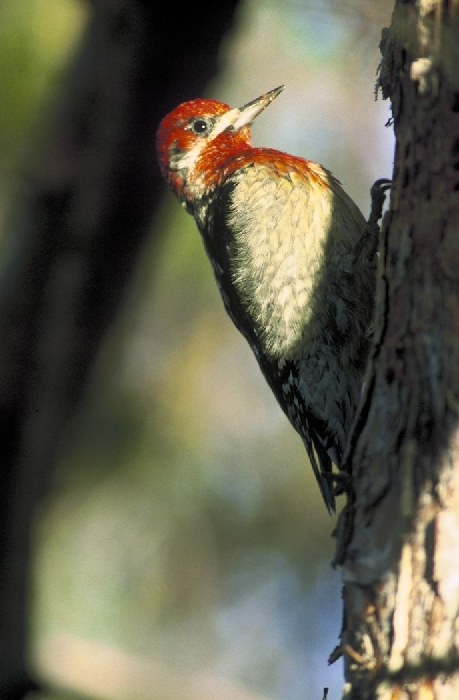 Hairy Woodpeckers are common residents at Cedar Creek. They nest throughout the wooded portions, though are not as common as Downies. The only records of a Black-backed (Three-toed) Woodpecker at Cedar Creek are a bird near the lab on October 23, 1981 and a bird west of Fish Lake on May 2, 1986. Pileated Woodpeckers are reasonably common at Cedar Creek. In recent years they have been reducing to wood chips elm trees killed by Dutch elm disease. Parmelee found a nest in a dead elm on the old Heckenlaible farmstead along 26 in 1987. 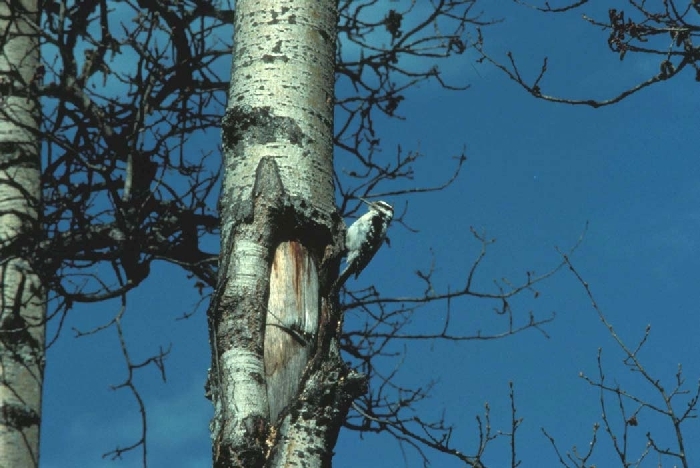 Howitz found a nest only 2.5 m high in a large birch stub on June 2, 1991 west of Fish Lake, and another 13m up in an aspen stub on May 24, 1993 near the 1991 nest.